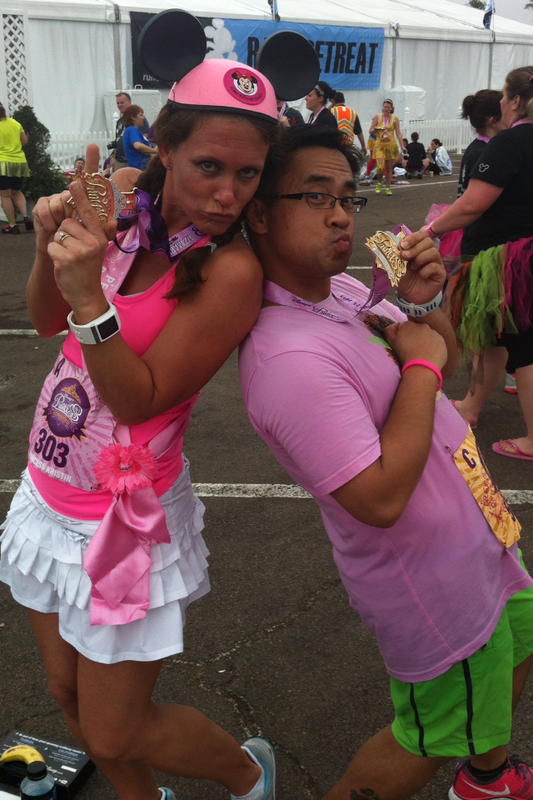 Sharing the Bling! 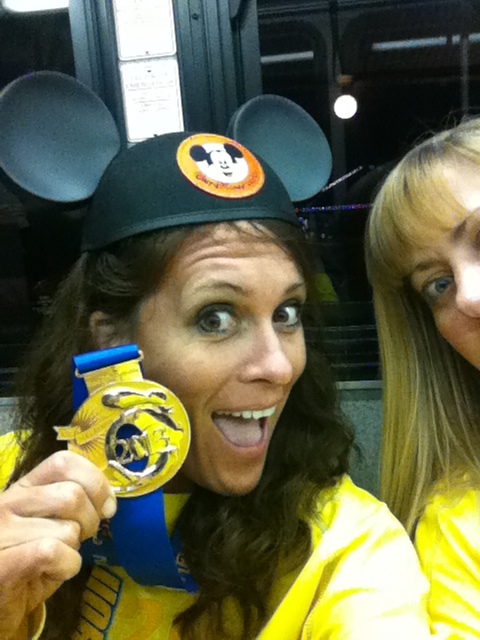 Disneyland Half! 2009 Disneyland Half and my first Coast to Coast! 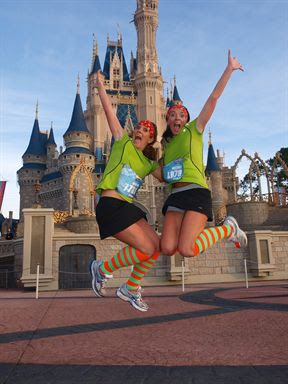 Good luck to everyone running the Disneyland Half Marathon and earning those Coast to Coast Medals....Have a Magical Run!! 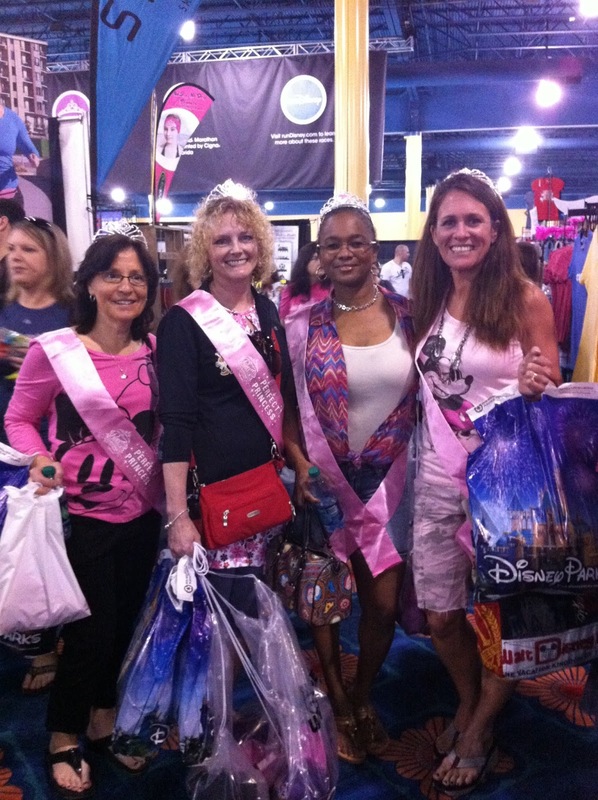 Mice, Snakes and Beaches.. Oh My! This particular night, a curious, fast, grey, furry little mouse decided to get up with me and swap out the laundry as well. I nearly FREAKED out because..1. There's a MOUSE IN MY HOUSE. 2. Everyone is alseep. I can't scream. 3. There's a MOUSE IN MY HOUSE. Fast forward a couple of days...We have left glue traps all over the place. No mouse. I had to leave mid-week to go to the Coast for work. I did manage to get in a great 4 mile run after work along the beautiful beaches in Gulf Shores so that took my mind off of the little furry guy for a bit. 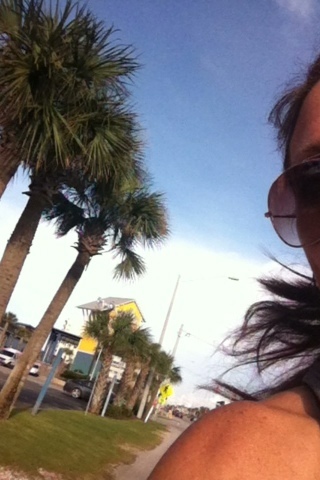 Spotted: Palm Trees on my run. Gorgeous white sandy beaches in my own backyard! Friday afternoon...I'm back home sitting at my computer and Daisy, my smartest dog was creeping around the kitchen and I knew then what was up. I knew she had it. I knew it was about to get ugly. Call in the husband. Call in the neighbor. Call in my 10 year old. We are about to be in a battle. Two grown men, one brave 10 year old, 1 light saber, 2 dogs, and me on the chair. (I was zero help). Let the battle begin. They chased. They destroyed. They eventually got him. 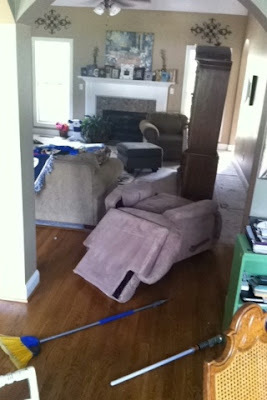 But...not without DESTROYING the living room, breaking the recliner in half, knocking over furniture first. Eventually Daisy caught the little grey mouse and I felt some relief. The best part of this "situation" was that my Justin had his light saber "on" the whole time so we had the mouse hunt destruction complete with Darth Vader sound effects. Best EVER. We got the mouse. Yes we did. I say "we" because I could direct everyone where to go from high atop my chair. However....we set out more traps that night (just in case) and caught 4 more the next morning. Okay. I'm on edge now. I spent my entire Saturday cleaning stuff I didn't even know we had. So I set out for my much needed 9 mile run on Sunday and of course, I see a RATTLE SNAKE on the trail that I run on. Are you kidding me??? A Rattle Snake??? I'm in serious need of a massage at this point. I had really great runs this week but I NEEDED them. Definitely gonna need a few good runs next week too. Hopefully, we are on the downhill with the "situation" in my house and we can get back to a normal happy life. I love Mickey Mouse and all but dang, I don't love those other little friends that came to set up camp at my house. 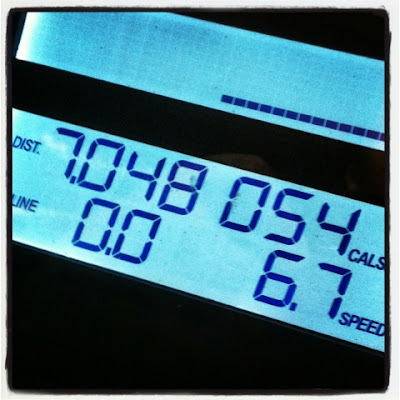 Week 9 has GOT to be better! I'm really enjoying my Dopey Challenge training even in spite of my Crazy Week 8! See my full training schedule here. 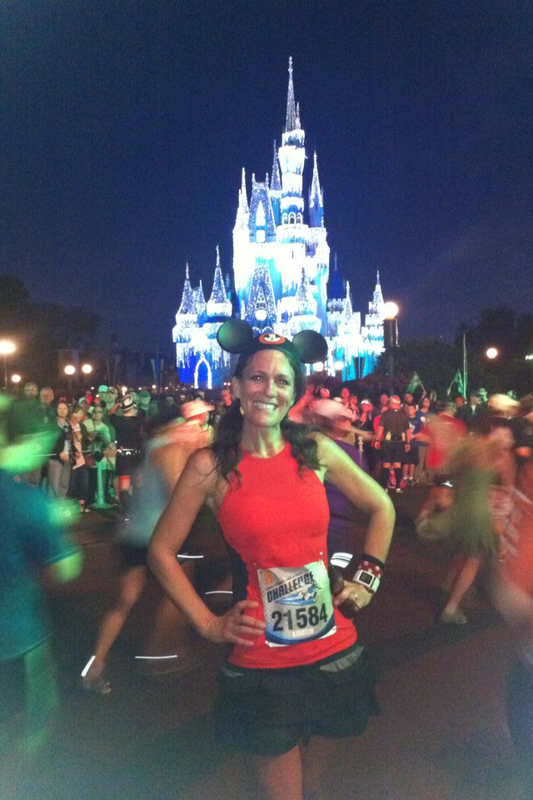 Happy Running and See you at the Castle...Mickey and Minnie are the ONLY mice I want to see! So this week's long run that was supposed to be scheduled for Saturday got pushed back to MONDAY....uggh!!! I have had a super busy week (I knew it was going to be that way), But still doesn't change the fact that now I'm feeling a bit pressured to step it up a bit this week!! 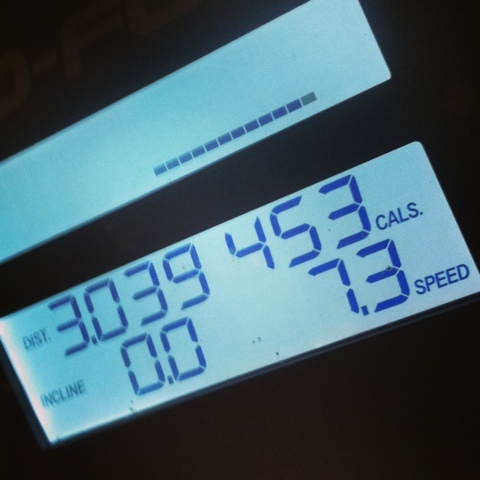 With a long run of 3 miles, It does ease my mind just a bit. 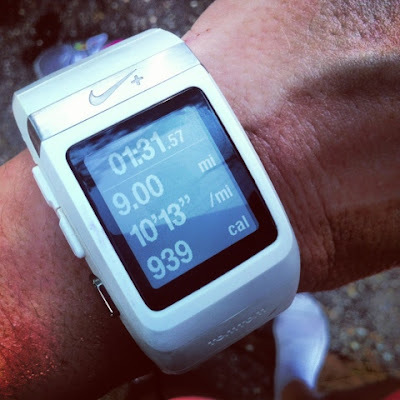 However, this week's long run is 9 miles. No pushing that back!! Must happen. The following Monday: 3 Miles...See what I mean??? I'm behind!!! Okay Okay. So things are not as bad as they seem....Week 8, I'm coming for ya! 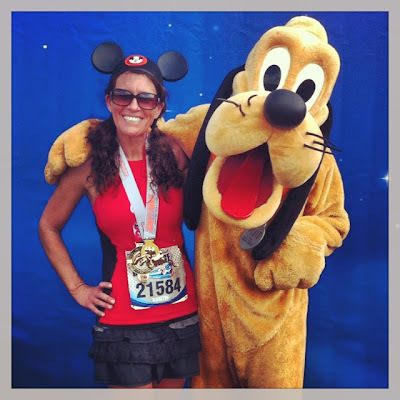 See my full runDisney DopeyChallenge Training Schedule here. 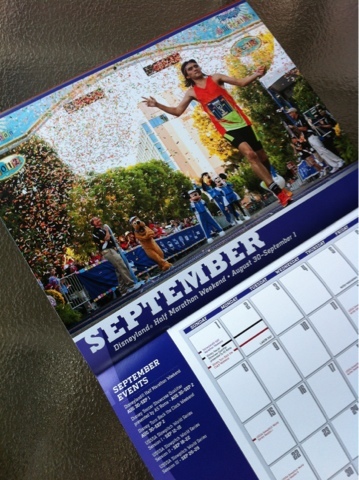 Do you have Disneyland Half Marathon Weekend on YOUR runDisney race calendar?? If so, Here's what's going on that weekend! • 10:00 a.m. – 8:00 p.m.
• 10:00 a.m. – 5:00 p.m.
• Wheelchair Start: 5:29 a.m.
• Runner Start: 5:30 a.m. YAY!!!! I have completed Week 6 of my Dopey Challenge and it felt GREAT!!! I have really enjoyed my last few months of not running too many long runs but WOW, it felt so awesome to get a 7 miler under my belt. As much as I love running the quick runs during the week, there's just something about running those longer runs that just make you feel fabulous!! 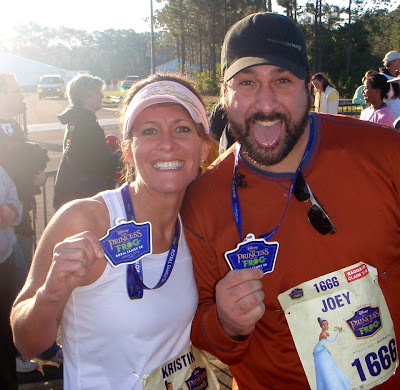 Football season will be here in a couple of weeks too and I know it's going to be a while before it gets chilly, but that's one more reason why I'm loving the training plan for Dopey Challenge. The long runs are scheduled for the late fall, early winter...just in time to spend the rest of the day "recovering", aka propped up on my couch watching Alabama and SEC football all day. hee hee. Love it!! So Week 7 Starts on Tuesday but I'm traveling a bit this week so I may have to adjust my days from Tuesday/Thursday/Saturday...not sure just yet. See my full Dopey Challenge Training Plan here. Happy Training and See you at the Castle! Hey! Back off of my Mouse Ears! Never would have expected this in a million years. Does THIS picture look like the face of someone who REALLY wants to be asked the question over and over and over with a sarcastic tone in your voice...."So you're going to run ANOTHER race at Disney????" 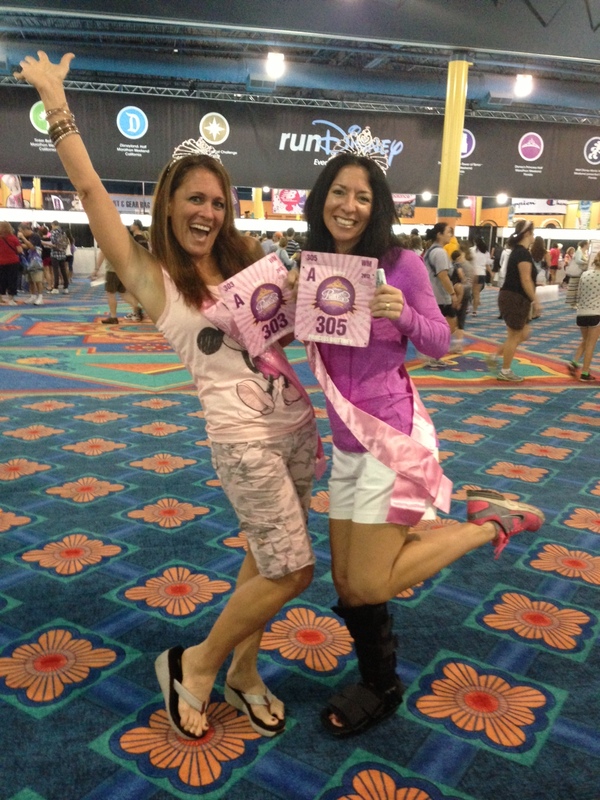 I'm running through Walt Disney World...yipppeeeeeee!!!! Ummm NO. 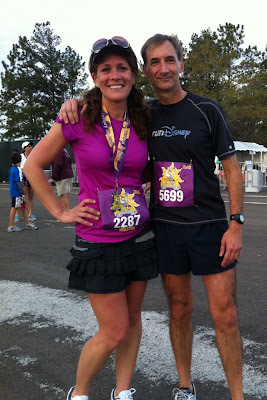 I'm not going to run another race at Disney....I'm going to run at least NINE races at Disney over the six months or so. That's right. I SAID NINE. 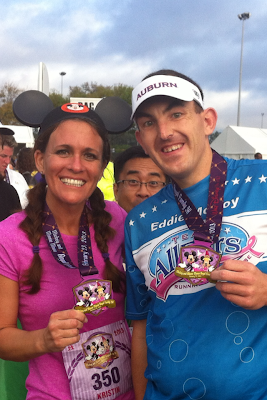 And believe me, if I could have registered for the Disneyland Half weekend races, I would be running 12. Call me crazy, call me a Disney nerd, call me whatever you like. I've said it before. I make no bones about it. 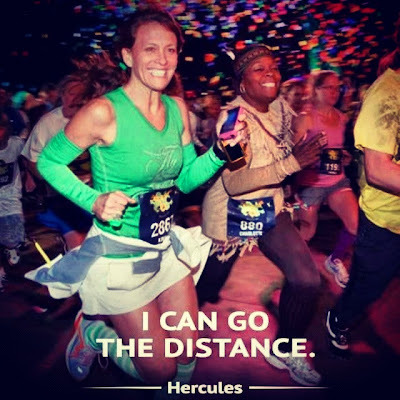 The runDisney program is my favorite running program and I will be running those races until my little old lady Perfect Princess legs can't make it through ONE MORE MAGICAL MILE. I'm not kidding. Perfect Princesses in the House!! There is no place I'd rather be (besides home) than in a Disney theme park, on a Disney Cruise, at a Disney Resort or even just walking around Downtown Disney. Couple that with my most favorite hobby (running) and TA-DA!!! There you have it. My worlds collide!!! Just stop for a second. Take it all in. It's a known fact where I live that I run Disney but some people just don't "get it". Here lately some people have just really been on my nerves.....so of course when things get on my nerves, I gotta let it out. 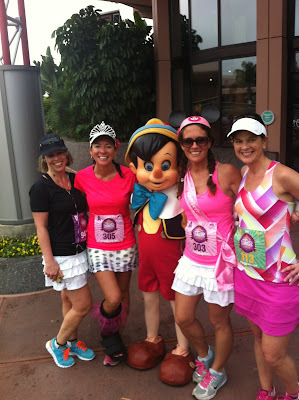 I have alot of my non-Disney running friends that have said..."Yeah but it's so crowded. I want to be able to run, not just walk." Well I beg to differ. 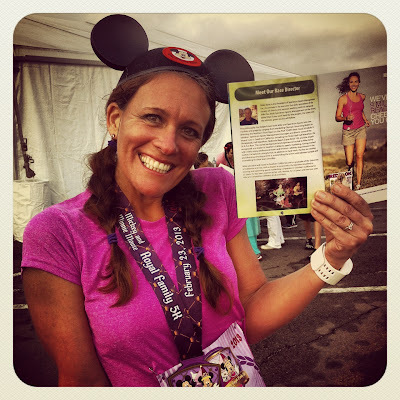 I ran my fastest 5k time ever in 2011 during the Inaugural Tinkerbell Half Marathon Weekend (Neverland 5K). I ran that 5k somewhere in the 24 minute range...My mom was at the finish line and told me that I was definitely one of the top 10 girls to come through. So running fast is not a valid argument. There's just so much I love about this. So much. 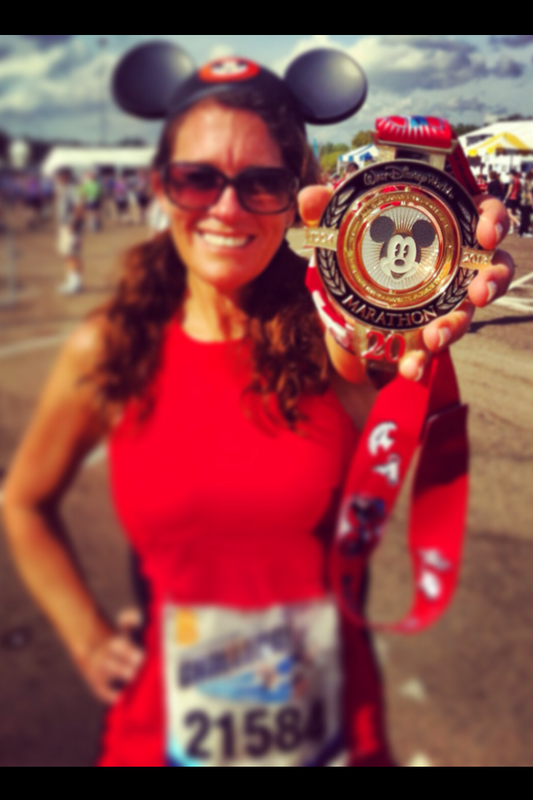 "Aren't the medals kind of silly and all with Mickey Mouse on it?" umm is there anything silly about this little baby? I think not. My alltime favorite medal..alltime favorite profile pic. Uh. 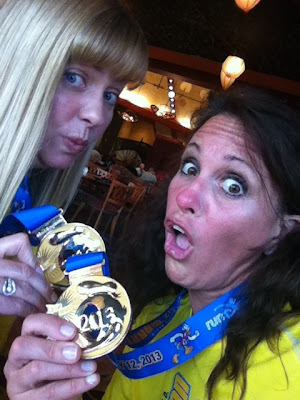 now we are just delirious...so lets' go eat sushi at Kona Cafe with our medals on. 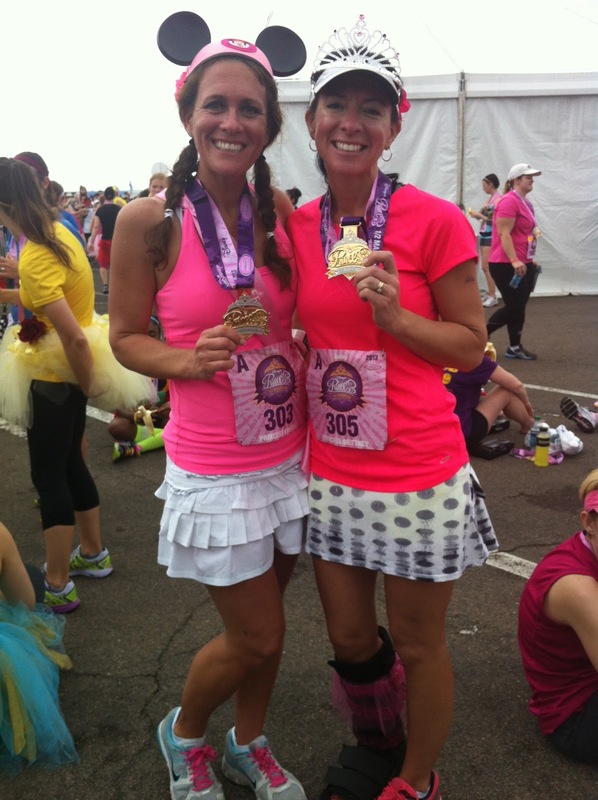 One more Princess Half in the books for me and my sis. 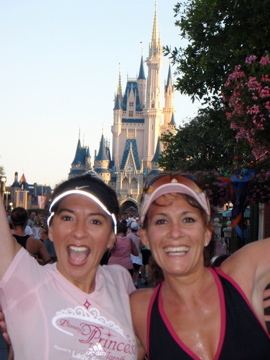 I have heard the comments..."Running at Disney is too expensive". My reply to that is..."Well. You get what you pay for". 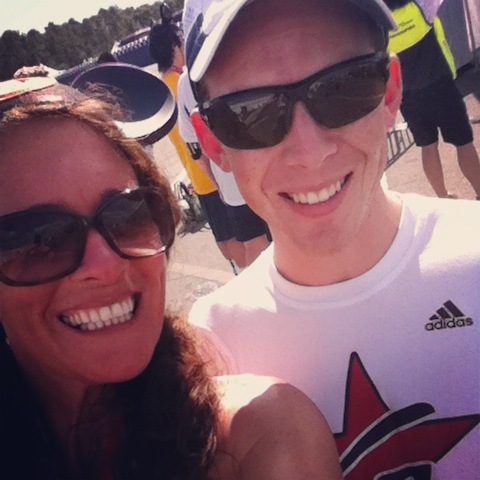 I'm paying for an extensive race experience that I can have a lifetime of memories from. I hardly take that away from my local races at home. Don't get me wrong. 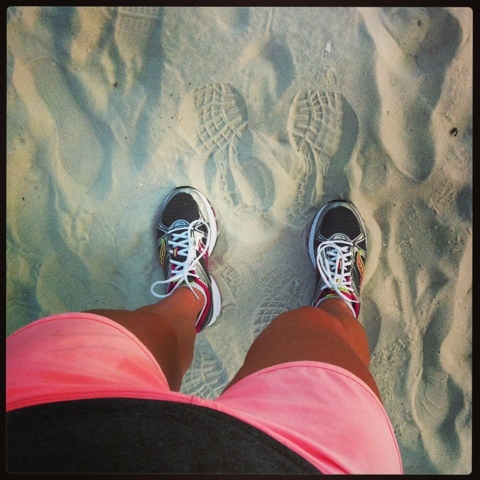 I love running at home. 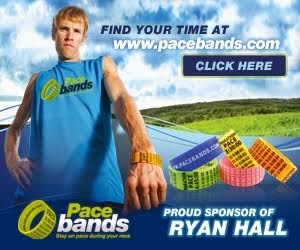 I support a ton of my local races. But again, these are just my opinions and I don't make "magical memories" during my local races. I'm sorry but life is too short for me not to have a lifetime full of memories that I will cherish...not just make. After the Halloween 5k...Photo shoot with Minnie and Mickey! I still get choked up just thinking about running down Main Street for the first couple of times. Hey Hey...on the bus late. 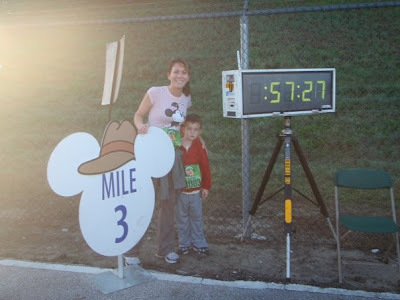 Shut the parks down before the WDW Marathon the next morning. running a family 5k is no different! Time for a pic kids!! I have heard..."You're really going to dress up and run a marathon?". Helloooo!! Yes. I'm going to wear my Mouse Ears, wear them proudly AND have the time of my life while doing it!! I've even been known to jump off the course during the full marathon and ride Everest. Something wrong with that?? First Goofy Challenge with my sis....ummm yeah. We're having just a little bit of fun!! Year of the Ear!!! Celebrating it with the Best!! 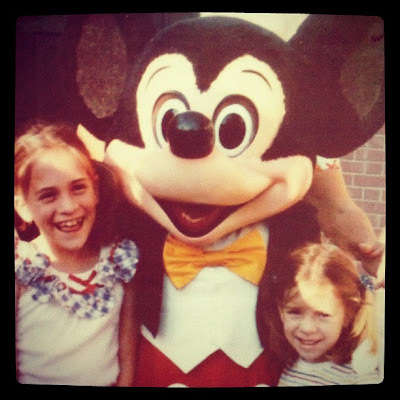 "Don't you feel bad for not bringing your kids with you when you go to Disney World? I could NEVER do that." Okay. Now you've crossed the line. Now you've just made me mad. Now you've automatically assumed that I'm a neglecting parent. HERE WE GO. 1. My children have grown up going to Walt Disney World and will continue to go as long as I am still their mother. I really don't see that changing anytime soon. Me and my sis on our first trip to Walt Disney World! 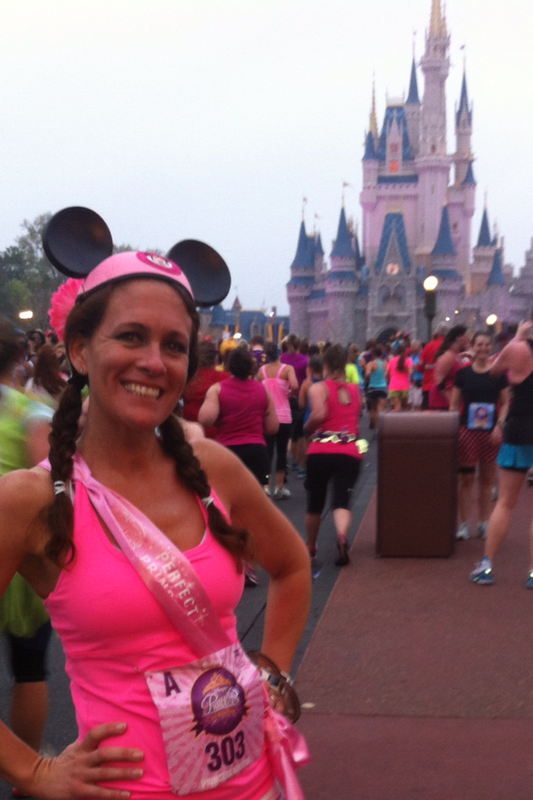 Finish Line of Princess Half Marathon with Mickey!!! 3. My children have ran MULTIPLE 5Ks at Walt Disney World. We have the medals to prove it. 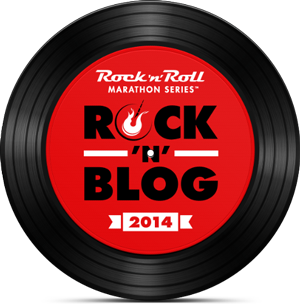 Not all runcations are a trip without the kids. Five Pumpkin Mickeys to add to our Family Collection! 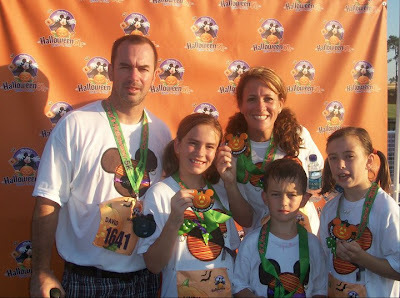 Family pic in front of the Castle during the 2010 Halloween 5k. Circle of Life 5k through Animal Kingdom! 4. Just like I love spending time with my children... hey guess what?? Newsflash! I also like spending time with my own Mom and sister....one day my girls will get that when they have busy lives of their own. I cherish these getaway weekends. 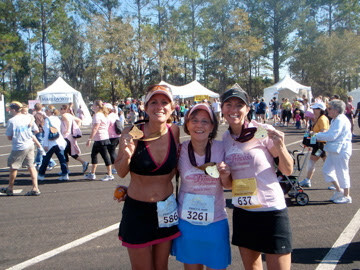 Me, My Mom and My sister just went to Coast to Coast!!! 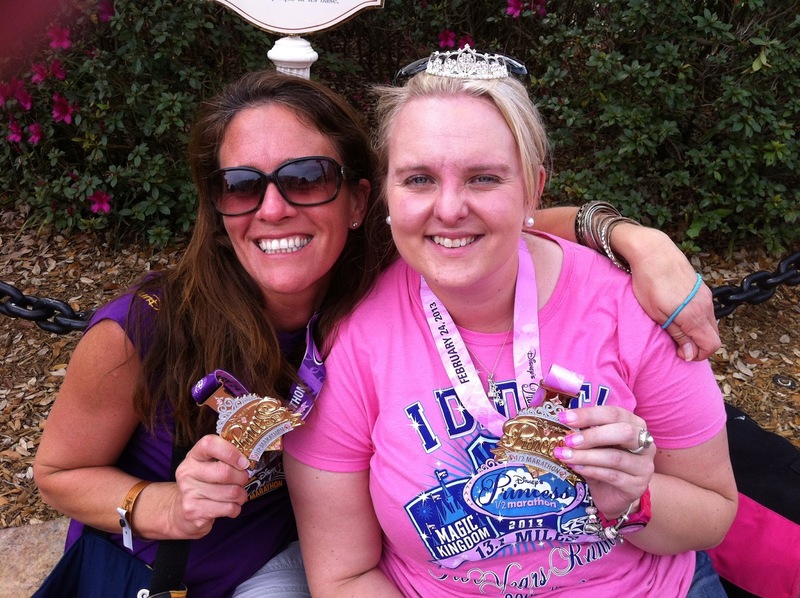 Me and my Mom in the Rose Garden after the runDisney Princess Meetup! 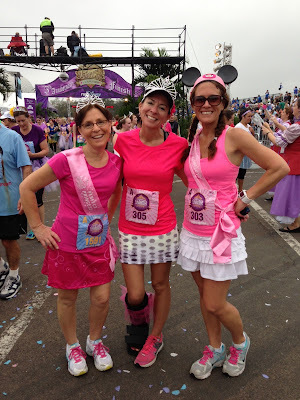 First Princess Half Marathon with my Mom and Sis....I'm so glad we are still doing what we love. 5. 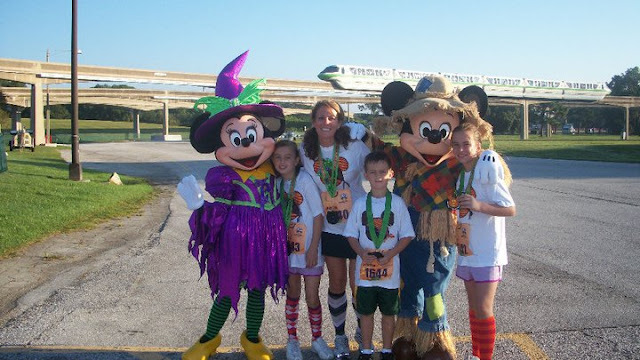 The day that my children train for 6+ months to run their first marathon at Walt Disney World, not only will I offer to pay for it but I will offer to babysit those sweet future grandkids of mine either at Disney or at home for them. They will then be able to truly appreciate why I have to leave them at home sometimes now. This Mom needs a break every now and then too. Leaving for the weekend is really the ultimate reward for me. I get the reward of running the race that I've been training for, a weekend with my family and friends and a weekend of not having to wash laundry and clean the dishes. Next. Running Princess Half Marathon with some of my best gal pals! Tinkerbell Half Marathon with my favorite pixies!!! 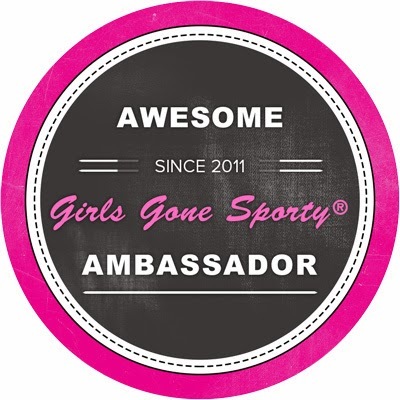 I run with my Mom, my Sister, my extended family, my many many girlfriends, life-long friends that I've met along the way, AS WELL AS MY OWN KIDS and there is nothing I feel like I need to apologize for. I've met some of the nicest people in the world who share my same passion for this place I like to call my "Dream Home". 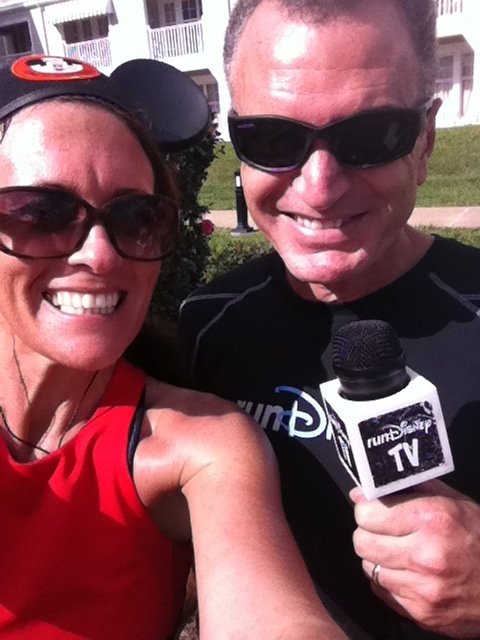 Hey it's Dennis from runDisney TV cheering us on as we run by!!! BEST!! NO words can describe my love for this fella. 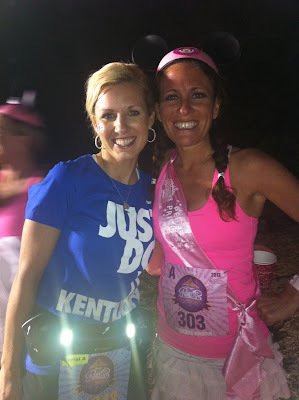 Love all my friends I've met along the way...It's @lttlegrlbigwrld!! 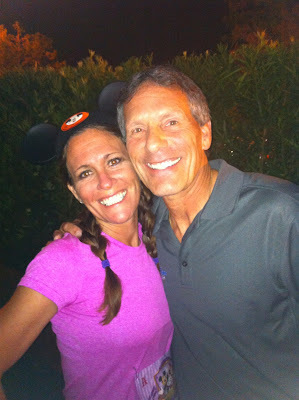 No Disney race would be complete without a good luck hug from this guy!! Rudy!!! One of my best Team #RunDisney pals...Joe B. Raymond! 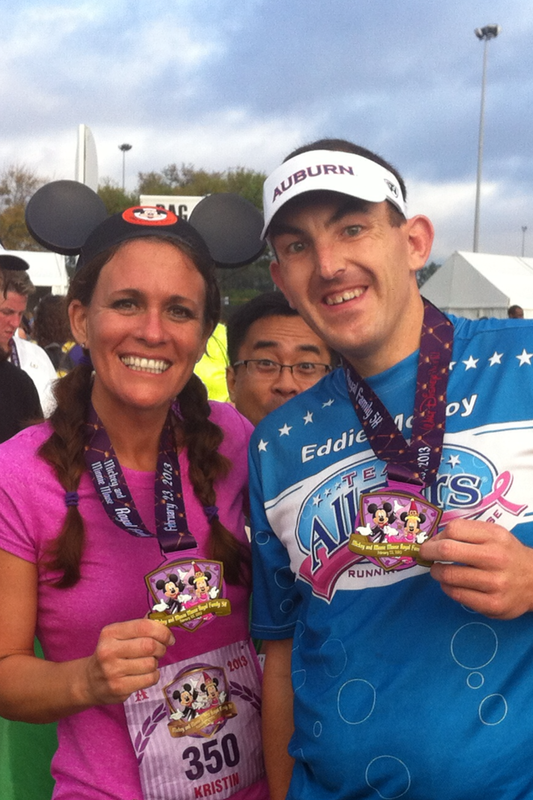 My favorite Auburn running pal with a photobomb from crazy man! 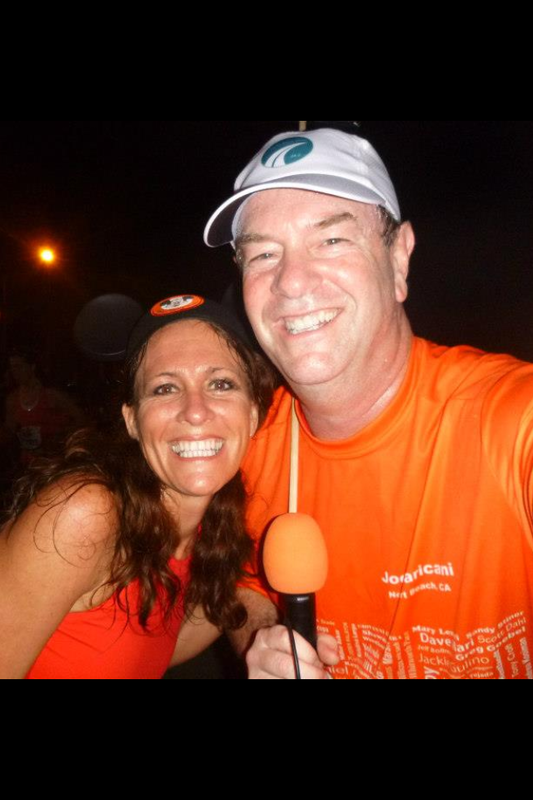 Joe from The Marathon Show! Hope we are all still running this race for a long time to come!!! 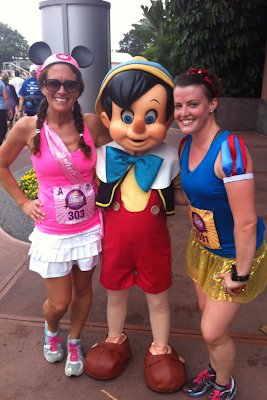 for a race as big as Disney much less run with him. So there you have it. Please don't be sarcastic the next time you ask me am I seriously going to run ANOTHER Disney race. I hope I've answered your question. I hope that the people whose names shall remain anonymous (but I know that you are reading this) will truly understand that I'm not just trying to call you out today but geez la-wheez.... Back off my Mouse Ears!! I don't judge you for what you do (or don't do) or try to make you feel inadequate in any way. I would never discount what you choose to do in life no matter how silly I really think it is.I encourage everyone to try something new. I encourage everyone to do what they love. Running Disney is what I absolutely love to do. It makes me a healthier person, keeps me grounded with a GREAT group of people, brings out the best in me and makes me want to keep being MY BEST for my kids!! THAT is something I won't trade for anything in the world!!! 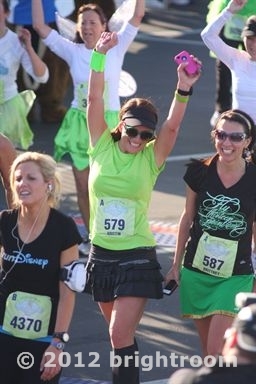 Crossing the Finish Line of the Tinkerbell Half Marathon!! Running with my boy through World Showcase during Disney Sports Festival. 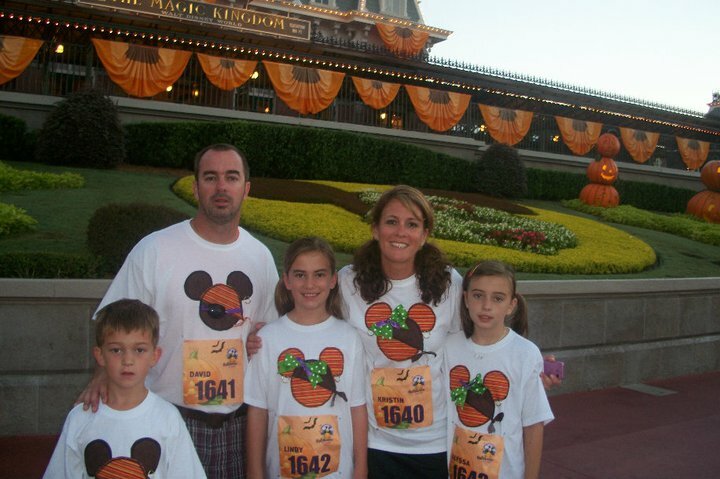 One of my favorite Disney experiences so far..running with my kids during #DisneySportsFestival!!! 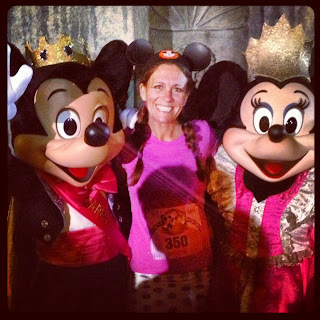 Thank you for letting me vent today and reading my ramblings but I needed a good dose of Disney Magic through my running pics...Posting these and letting off steam has put me right back where I need to be! Happy running and I'll see you at the Castle!! Bad Run? Get yourself together, girl!